You've probably heard it before—and you've probably said it yourself: "I need space." But alas, it's true! Harvardwood needs space to hold meetings and events! More specifically, the DC Chapter is looking for a casual space (e.g., restaurant or bar with a private area or back room) where screenwriters can meet on a monthly basis. Here in Los Angeles, we're sourcing corporate spaces such as law firm conference rooms that can be accessed after business hours for small events, writers' groups, script readings, and the like. If you have space to offer, get in touch! Meanwhile, in the City of Lights, we are looking to start up a Harvardwood Paris chapter. If you'd be interested in Harvardwood events and programs in Paris, please fill out our brief Harvardwood Paris survey so we can get a better idea of what interests you. To all of you long-time Harvardwood members, we'd love to see your "vintage" photos from Harvardwood events in the 2000s! We're collecting memories to celebrate the organization's 20th birthday this year. Thank you! Studio71 is a premium global media company and content studio that develops, produces and distributes original programming across multiple platforms. Studio71 is a Red Arrow Studios Company and headquartered in Los Angeles with offices in Berlin, New York, Toronto, London, Paris and Milan. The Coordinator position is the best way for a current agency or management company assistant to launch a career in digital media at Studio71. Strong candidates will have previous experience and training on a busy desk. We are looking for career-driven individuals who understand process and show signs for quick growth within the company. If your arts, media, or entertainment company offers summer internships and would like to receive applications from current Harvard College students, we invite you to participate in the 2019 Harvardwood Summer Internship Program (HSIP)! Companies can recruit current Harvard students directly by posting their internship opportunities to Harvardwood FOR FREE. HSIP provides a list of internship opportunities in the arts, media and entertainment to Harvard undergraduates and also coordinates career-related events over the summer for program participants in LA, NYC and other cities. If your company would like to list an internship via HSIP, please fill out our brief participant form by February 15th to reach the largest number of potential candidates. Beginning February 8th, we will accept applications to the Spring 2019 Harvardwood Writers Program - TV Modules (HWP-TV)! HWP-TV uses peer review, guest speakers and workshops to foster a motivating and supportive environment for each participant’s writing. Participants of the HWP — TV Modules may be considered for the annual Harvardwood Most Staffable TV Writers List (see below). All writers must be based in LA and Harvardwood Full Members. There is a high expectation of preparation and writing done outside of the meetings (approx. 15-20 hours per week). Each module will have approximately eight participants, and will meet for approximately eleven sessions over a fourteen-week period beginning tentatively in late February 2018. The program has a strict attendance policy, so please make sure that you can fully commit before applying. Participants are required to give constructive feedback to fellow writers in each session, so there is an expectation that you will have read applicable work prior to the meeting. The modules are successful because of this peer review, and you should expect a "writers room" format for your group. Within the Harvardwood Writers Competition, the top scripts from the HWP — TV Modules program may be selected for the annual Harvardwood's Most Staffable TV Writers list (2016 Deadline article) and sent to managers, agents, networks, studios and production companies. Each of the selected writers may also be paired with an Industry mentor. The Most Staffable List is part of the annual Harvardwood Writers Competition, but only writers of original pilots from the immediately preceding fall and spring HWP — TV Modules will be eligible to be considered. Complete program info here. The deadline to apply will be February 22, 2019. The 2019 SXSW Film Festival takes place March 8 - 17, 2019. If you're attending, guest speaking on a panel, presenting a film, or anything of that nature, please give us a heads-up. We'd like to connect all Harvardwood members in Austin, so they can arrange a casual meet-up! Featured speakers this year include Jason Blum with John Pierson, as well as Michael Pollan, the author of eight books, including NY Times bestseller How to Change Your Mind. Pollan was a fellow at the Radcliffe Institute for Advanced Study at Harvard. Let us know if you plan to attend SXSW, and we'll connect all the Harvardwood folks heading to Austin this spring. Harvardwood 101, our flagship program, brings over two dozen Harvard undergrads to Los Angeles every January to learn more about careers in entertainment via a week-long bootcamp, followed by the option of short-term J-termships at entertainment companies. Interest in the program has dramatically increased over the past several years, and we want to give all students the opportunity to attend before they graduate. So it's unsurprising that this year's 101 class was 100% comprised of Harvard seniors! Neil Jacobson, Ethan Lader, Adriana Isabel Colón, Lindsay Goffman, Ritchey F. Howe, Stephen Rowell, Mark Kelsey, Kianna Lassiter, Meryl Luzzi, Marissa Fine, Larry Tanz, Erin Sanderson, Melissa Daniell, Jonathan Aibel, Steven Arkow, Nick Leith Baker, Michael Borkow, Gerry Daley, Carleton Eastlake, Jonathan Fernandez, Lisa Henson, Charles Hirschhorn, Jean Huang, Jeff Melvoin, Lawrence O’Donnell, Kay Park, Max Pross, Joan Chu Reese, Maiya Williams Verrone, Patric M. Verrone, Adam Shulman, Ryan Schwartz, Kerry Kohansky-Roberts, Sandra Chang, Laura Roenick, Taryana Gilbeau, James Kearney, Nicky Weinstock, Michael Roiff, Meredith Bagby, Giselle Cheung, Yvonne Cheng, Sia Farahani, Mark Gill, Leah Bleich, Lexx Fusco, Larry Wasserman, Jim Grill, Matt Grimm, Chris Salvaterra, Alexa Cohen, Susanne Daniels, Kim Rach, Jehan Ratnatunga, Ali Schwartz, Amy Retzinger, Jane Lee, Melissa Darman, Steve Harper, Sue Chung, Sam Chalsen, Terence Carter, Margaret Clark, Zoë Morrison, Kim Rogers, Timmy Haehl, Adam Sidman, Naomi Funabashi, Bronson DeLeon, Dan Lin, Jonathan Eirich, Ryan Halprin, Tiffany Nakano, Molly Kukla, Jeff Clifford, Katharine Konietzko, Modi Wiczyk, Asif Satchu, Alexis Salmons, Christina Uhrig, Evan Vittor, and DJ Jacobs. In addition to the Harvardwood supporters above, 101 would not be possible without the volunteer hours, dedication, and tirelessness of program directors Amit Samuel Ext. '05 and Ansley Rubinstein AB '10. THANK YOU, Amit and Ansley! Finally, Harvardwood heartily thanks the Office for the Arts at Harvard and the Harvard Office of Career Services for their sponsorship of Harvardwood 101. We were also lucky to have Harvard OCS staff member Marissa Long AB '08 join us for the bootcamp week alongside the students. What did our 2019 101 students take away from the program? In the #HWire blog's "Where Are They Now?" series, we check in with Harvardwood program alums to find out what they've been up to and to showcase their accomplishments since participating with Harvardwood! Ever since graduating less than two years ago, Harvardwood 101 alumna Karen Chee AB '17 has been making waves in the comedy world. Last week, she joined the writers' room for Late Night with Seth Meyers, and last month, she was a writer for the Golden Globes Awards Ceremony. Currently based in Brooklyn, Karen is also a regular contributor to The New Yorker, as well as The New York Times, McSweeney’s, Reductress, and Shondaland. Karen also performs throughout New York as a stand-up comedian, recently opening for The Daily Show's Ronny Chieng at Caroline's on Broadway. Q. When did you know you wanted to become a comedy writer and stand-up comedian? Did attending Harvard come into play in that decision? A. I think I quietly knew I wanted to be a comedy writer since eighth grade, when I first learned that TV comedy existed. I watched The Office and The Daily Show, and I remember those shows just blowing my mind. My parents were very strict about screen time, so I’d never watched a sitcom or seen political satire before. I got immediately obsessed. I had a notebook where I’d write down my favorite jokes and the structures of various episodes, and I’d research the names of comedy writers to see what other shows they wrote on to keep finding new stuff to watch. By the time I got to college I was pretty certain I wanted to do comedy. I think I told myself I was considering other careers, like political speechwriting or something in math, but I don't think I really was. Q. What were the early steps you took after graduation that, looking back now, led to where you are today (that is, repped, staffed, published, and all-around winning)? A. I honestly just threw everything at the wall and hoped something would stick. People were (and continue to be!) very kind to me, which I am immensely grateful for and always sort of surprised by. But yeah, I don't really know which steps were particularly helpful—probably everything, in some way? I’m really into to-do lists and schedules, so when I freelanced I was very disciplined about writing new pieces and publishing regularly and performing as much as possible. I said yes to any opportunity that came my way because I figured I had nothing to lose and hopefully everything to gain. Like a stupid millennial, I really like working. When I freelanced, I essentially worked 12 hour days, every day of the week. I don't know if I’d recommend that to other people, but it made me very happy. Q. Last month, you wrote jokes for the Golden Globes Award Ceremony and had a great interview with Variety about the experience. What inspired you to tweet directly to Sandra Oh? A. Haha a lack of shame, I guess. I’m such a big fan of Sandra Oh. The idea of writing for her felt like a crazy pipe dream, and I’m sort of ridiculous on Twitter anyway, so I figured, why not? The Sundance Short Film Jury Award: Animation was presented to Reneepoptosis, written and directed by Renee Zhan AB '16. About Reneepoptosis: Three Renees go on a quest to find God, who is also Renee. As they traverse the mountains and valleys of Renee, they discover all the great joys, sorrows, and mysteries of being Renee. Anthony Onah AB '05 participated in the Sundance Institute's 2019 January Screenwriters Lab last month! His script, Goliath, was also the recipient of the Alfred P. Sloan Fellowship. About Goliath: After a brilliant African American scientist discovers a leading pesticide may be harmful, paranoia and rage threaten to consume him as he battles its manufacturer, the most powerful chemical company in the world. Based on a true story. A big congrats to film composer Justin Hurwitz AB '08, whose music for feature First Man (dir. Damien Chazelle AB '07-'08) received the Golden Globe and Critics' Choice awards for Best Score last month! Justin is a multiple-award-winning composer for his work on La La Land, written and directed by Chazelle. 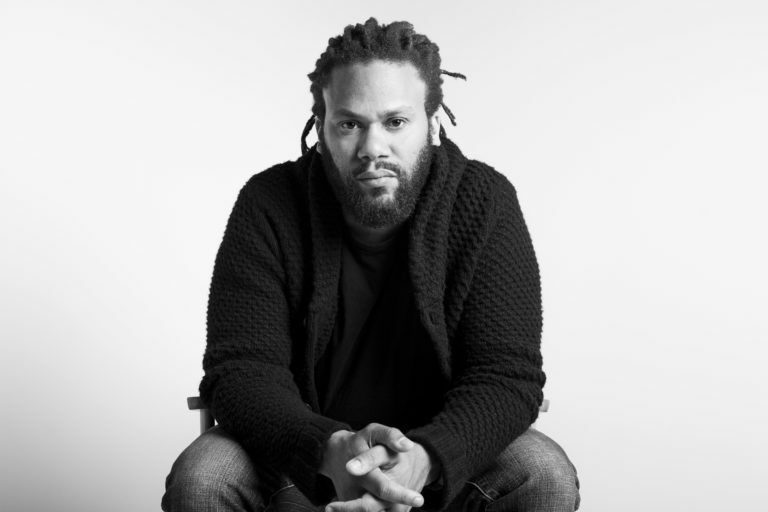 Franklin Leonard AB '00 will receive the Evelyn F. Burkey Award at the 2019 Writers Guild Awards, held in New York City on February 17th. "Leonard is the founder and CEO of the Black List, a company that supports screenwriting through its annual survey of best unproduced screenplays, film production, a robust online marketplace, live staged script readings, screenwriter labs, and film culture publications" (WGA). Quantico episode “No Place Is Home," written by Giselle Legere MPH '08, has been nominated for a Women's Image Award! The awards ceremony will take place on Feb. 22nd. Leger "was selected for the Sundance Screenwriters Intensive in 2015, as well as being a three-time finalist for various 2016 Sundance labs, including the Sundance & Sloan Commission for Science in Films fellowship. In 2017, she began writing for Disney-ABC Television" (IMDB). String orchestra A Far Cry, which includes Alex Fortes, Miki-Sophia Cloud, and Sarah Darling, has received two GRAMMY nominations for Best Chamber Music/Small Ensemble and Best Engineered Classical. Tune in to the GRAMMY awards ceremony on Sunday, February 10th! Nicholas Britell AB '03 has been nominated for the Best Original Score Academy Award with his music for If Beale Street Could Talk (dir. Barry Jenkins). Britell's previous collaboration with Jenkins on Moonlight was also nominated for the Oscar for Best Original Score in 2017, in addition to winning the 2016 Hollywood Music in Media Award for Best Original Score (Dramatic Feature). That is a “very obvious… but groundbreaking” lesson that film composer Nicholas Britell AB ‘03 discovered at Harvard while collaborating with friend and fellow band member, Jake Rubin AB ‘03. The two were part of a hip-hop group, The Witness Protection Program, comprised of six instrumentalists and two rappers. They were discussing a track that Britell was writing for the band—whether the track was working, going in the right direction—and Rubin’s words struck a chord that lingers with the composer today. Here, Britell is describing his work process on a micro level. But even a cursory overview of his career on the macro level proves that everything is working for Britell right now. The young composer is behind the scores for acclaimed films Moonlight, The Big Short, Vice, and If Beale Street Could Talk, to name but a few. He was first nominated for an Academy Award for his score to Moonlight in 2017. He is currently nominated for a Best Score Academy Award for his work on If Beale Street Could Talk. Also the composer for HBO’s drama series Succession, Britell has been described as “the composer with a growing fan club among directors” (NPR) and hailed as “the sound of money in Hollywood” (TheRinger.com). Given Britell’s tremendous resume, it is unsurprising that “film and music were connected right from the beginning of [his] musical interest.” At the age of five, Britell watched Chariots of Fire and became enamored with the score and, in particular, the film’s theme. It inspired him to tinker on his family’s old upright piano in their New York apartment on West End Avenue. “I asked my mom if I could take piano lessons—pretty much so I could learn how to play the theme,” Britell laughs. Within five years, Britell was giving public concerts in New York; in fewer than ten, he began attending Juilliard Pre-College as a concert pianist. In fact, Britell’s wife, cellist Caitlin Sullivan, attended Juilliard Pre-College at the same time, though the two never crossed paths as students. Britell and Sullivan only met for the first time after graduating from Juilliard, when both were attending the Aspen Music Festival. Sullivan is featured in both the Beale Street and 12 Years a Slavesoundtracks, the cello’s theme being particularly prominent in the former. So Britell arrived at Harvard with an open mind, eager to expand the scope of his education and musical training beyond classical piano. Though he did take the iconic course Music 51 with John Stewart (“such an impactful class for me”), Britell first opted to study Near Eastern Languages and Civilizations, before switching his concentration to Psychology, with a special interest in neuromusicology. After freshman year, Britell took a year off to consider a career as a full-time pianist. He performed extensively and worked as a cocktail lounge pianist. Upon his return to campus, Britell continued to perform: at a Signet Society annual dinner and during Arts First weekends on campus; as a member of the Harvard Organ Society at Memorial Church and Adolphus Busch Hall. His band, The Witness Protection Program, was one of those things—a significant commitment for the rest of Britell’s college career. The group performed throughout the Northeast at famed venues, including Arlene’s Grocery and Don Hill’s in New York, The Middle East in Cambridge, and Paradise Rock Club in Boston. Writing and performing hip-hop became an exciting evolution beyond Britell’s classical training. Another memento Britell keeps in his studio is a thank-you card from 2002 Citystep students. He composed the popular group’s dance music for their shows at Harvard, featuring undergraduates performing alongside local public school youth. Domino One, co-written by Louvel and Nick Garrison AB ‘03, was filmed on a camera lent by Ben Affleck and featured Tatyana Ali AB ‘02 and Natalie Portman AB ‘03. Britell marks his undergraduate years as being “really packed full of work,” between scoring Louvel’s film and being part of The Witness Protection Program. For the first time, Britell began to consider composing as a viable career. He astutely notes that the classical conception of a composer evokes “larger-than-life, almost superhuman figures” such as Bach, Beethoven, and Mozart. But by the time graduation rolled around, The Witness Protection Program was disbanding, and Domino One was still in production. Like most new graduates, Britell was in search of a job. Through “pure serendipity,” Britell met Barry Cohen AB ‘74, MBA/JD ‘77, a fellow Harvard alum, music lover, and composer—who worked in finance. Cohen hired Britell to join Bear Stearns, a position that would land him back in New York City, where he could continue to pursue his music interests outside of work hours. It was a wise decision for that period in Britell’s career. Meanwhile, Britell continued performing throughout New York and was asked to score many old college friends’ short films. His music was featured in Natalie Portman’s directorial debut, Eve, where Britell had a role as a cocktail lounge pianist and played a piece he had composed for the scene also featuring Lauren Bacall. Britell also scored Portman’s short for the anthology film New York, I Love You. Another close friend Britell has worked with is filmmaker Jack Pettibone Riccobono AB ‘03, scoring his 2015 documentary The Seventh Fire. Their first collaboration occurred much earlier, when Britell acted in one of Riccobono’s shorts made during their sophomore year. Yet another friend from sophomore year, producer Helen Estabrook AB ‘03 (Casual, Whiplash, Up in the Air), connected Britell with director Damien Chazelle AB ‘07-’08 (La La Land, First Man). Britell ended up producing Chazelle’s short film Whiplash, as well as co-producing the subsequent feature film. Finally, Britell made the leap to quit his full-time job in finance. Though he and his then-fiancee Sullivan were committed to residing in New York, Britell began making frequent “pilgrimages” to Los Angeles to connect with people who might need a composer. Yet, when he first met producer Jeremy Kleiner AB ‘98, networking was not on his mind. They first worked together on 12 Years a Slave (a soundtrack that features Sullivan’s cello playing), and then on The Big Short. During their work on the latter film, they were having dinner when Kleiner told Britell about an “unbelievably powerful script” called Moonlight. Britell read it and requested to meet Barry Jenkins. An initial coffee meeting with Jenkins at the ACE Hotel in DTLA ended up being a multi-hour conversation over wine about music, life, and movies. Fast forward a few years, and moviegoers and music lovers have been graced with Best Picture winner Moonlight and If Beale Street Could Talk, nominated for multiple Golden Globes and Academy Awards, including Best Original Score. “Music and film are both communal art forms where you get to work and play together,” Britell says. In the last three years, Britell has received nominations for Best Film Music / Best Original Score by the Academy, the Golden Globes, BAFTA, Critics’ Choice, and more. This year, he had the rare distinction of being shortlisted twice in the same category for Best Original Score, with Vice and If Beale Street Could Talk. At the 91st Academy Awards, he will be up for Beale Street. But Britell realizes that success and recognition are never guaranteed. Britell has said that he will never bring a piece of music to a director unless he himself truly loves it. But a challenge for artists of all types—whether writers, painters, or musicians—can be identifying when their own work has reached that level. When asked about this, Britell (unsurprisingly) offers another thoughtful and nuanced response. The seemingly simple question had a huge impact on Britell. Everyone who has worked with Britell, including Adam McKay and Barry Jenkins in their own interviews, speak highly of him as a person, a composer, a collaborator. He no doubt has a strong community of supporters who will be rooting for him at the Oscars on February 24th. Meanwhile Britell is already thinking about his next project: scoring a film adaptation of the original story of Carmen, to be directed by Benjamin Millepied (Portman’s husband) and produced by Estabrook. Whatever Britell has on tap to release next, we are all ears. Everything is working. It feels good. Keep going. In addition to serving as Harvardwood's Executive Director, Dona is a writer living in Los Angeles. Helen Gallagher won her first Tony Award in 1952 for her performance as Gladys Bumps in Pal Joey. Her second Tony came in 1971 for her performance in No, No, Nanette. She won three Daytime Emmy Awards, in 1976, 1977, and 1988, for her performances as Maeve Ryan in Ryan's Hope. Gallagher first appeared on Broadway in 1946, in the corps of Seven Lively Arts. Her first starring role on Broadway was in Hazel Flagg in 1953. Her other Broadway credits include Brigadoon, High Button Shoes, The Pajama Game, Sweet Charity, Mame, Sugar Babies, Cry For Us All, and many many many others. Her television credits include The Ed Sullivan Show, Another World, All My Children, and One Life to Live. Today, at 92, she remains active as an acting teacher. Helen Gallagher will be interviewed about her long career and the fascinating people she's worked with, by Foster Hirsch. Hirsch is Professor of Film at Brooklyn College and the author of 16 books on film and theater, including the classic study Film Noir: The Dark Side of the Screen, as well as Harold Prince and the American Musical Theatre, and, most recently, Otto Preminger: The Man Who Would Be King. Afterward, a documentary produced by Jack Riccobono AB '03, will have its west coast premiere at the Santa Barbara Film Festival on Feb. 2nd and Feb. 3rd. Jack will be in attendance at both for Q&A sessions after each screening. The Ivy Plus Society is taking you above Beverly Hills for their annual, not-to-be-missed Black & Red Ball. Ditch the blind dates this Valentine’s Day and join The Ivy Plus Society at the stunning, uber exclusive Above SIXTY Rooftop. Have a date or you’re single? Doesn’t mean we can’t mix & mingle! Steal hearts in your favorite black & red cocktail attire while taking in breathtaking views and drinking their delicious speciality cocktails. A tribute by saxophonist Don Braden AB '85 to Earth, Wind & Fire and Stevie Wonder. This multiple-Grammy-award-winning quartet includes Billy Childs, Ben Shepherd, and Cecil Brooks III. At the Moss Theater in Santa Monica, one set at 8pm. The Ivy Plus Society wants 2019 to be the year that you are prosperous. We're taking you down the yellow brick road to Fig & Olive's West Coast flagship location for a night of networking! This luxurious escape from the everyday is worthy of sharing with LA's finest and brightest achievers. Whether you're new to the society or one of our regulars, our Fig & Olive & Networking event will be a night that you flourish. If so, please let us know at dc@harvardwood.org. Goldsboro Books is delighted to announce our first public event of 2019, an evening with bestselling author Gregg Hurwitz AB '95! Please do join us on 11th February where Gregg will be discussing his latest book, Out of the Dark, in conversation with Nicolas Obregon (author of Blue Light Yokohama). Ticket price includes a glass of wine and the conversation will start at 6:30pm. Afterwards you will have the opportunity to get your book signed and meet Gregg. In The World According to Fannie Davis, Bridgett M. Davis shares a singular memoir that tells the story of one unforgettable mother, her devoted daughter, and the life they lead running the numbers in the Detroit of the 1960s and 1970s. Davis will be in conversation with Atlanta's own Tayari Jones RAE '12, RF '12, New York Times bestselling author of An American Marriage. Tayari Jones is the author of four novels, including "An American Marriage," "Silver Sparrow," "The Untelling," and "Leaving Atlanta." Jones holds degrees from Spelman College, Arizona State University, and the University of Iowa. A winner of numerous literary awards, she is a professor of creative writing at Emory University. Check out Tayari's Harvardwood profile! One hundred years of American history told through the life of one extraordinary ordinary man: centenarian Isaac Pope. Spellbinding storyteller, grandson of enslaved people, son of sharecroppers, and unsung hero, the lifelong resident of Kinston, NC was eyewitness to the devastation wrought by both the Nightriders and the Nazis. Sustained by faith, family, music, and friendships, he fought and overcame the 20th century’s stiffest challenges, including the Battle of the Bulge, institutionalized racism, and workers’ oppression, modeling the way forward through his humble but powerful example. We know: it's February, the new year glow has worn off, and you're starting to side-eye those resolutions you made. But if you're trying to complete a project and looking for an accountability partner—or just the motivation to start it—Harvardwood is launching a monthly group to meet with the purpose of helping each other to unlock our creative juices and get things done. The workshop will be loosely structured around Julia Cameron's books The Artist Way and The Vein of Gold. The group is open to any current-dues members creating art: writers, singers, actors, directors, producers, sculptors, painters, musicians, etc. If you aren't a Harvardwood member already, join today!